16 seater minibuses are a common sight on the roads and motorways of Britain, they are regularly used for school runs and airport transfers and are as popular in the commercial sector as they are for domestic use. There are generally two types of 16 seat minibus hire, standard and luxury. Standard 16 seat minibus hire is the more common of the two types. The buses are more widely used by hire companies are excellent for the everyday tasks such as local shuttle services and transports groups on nights out. They are also seen on various public bus routes, used by bus companies when a larger vehicle is not necessary. The standard 16 seater will provide groups with a cheap travel option and a great alternative to other methods of transport; they are of a basic layout which means all forwards facing seats and a small aisle through the middle. A standard 16 seater is generally used a short journeys but does provide the leg room for passengers to remain comfortable during longer trips. Safety is of the upmost importance with 16 seat minibus hire and each seat will be fitted with a seatbelt. Modern vehicles will use the three point seatbelt system used in cars and vans, older models may only be fitted with a lap seatbelt. The 16 seater is the largest minibus that can be operated on a by a driver using a standard car license. Although 15 seaters are generally more widely available on a self-drive basis some companies will have access to a 16 seater. If you are looking for a minibus of this size on a self-drive basis, you should look for a standard model as the luxury alternative is only found on private hire. 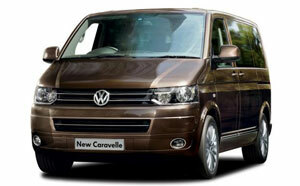 Luxury 16 seat minibus hire provides the ultimate road travel experience. The vehicles are commonly used for senior executive events and sports teams travelling to away fixtures. To hire one of these vehicles will require an increased budget but will include features that justify it. A luxury 16 seater will be fully carpeted throughout and provide side door access for easy boarding, each passenger will also have an individual seat with reclining capabilities, three point seatbelt, arm and foot rests. Air conditioning is as standard throughout the vehicle to ensure maximum comfort. Many vehicles also come with tables with can be used to eat or play games such as cards. Some vehicles are also designed to feature wash room facilities and a kitchen area with microwave and hot drinks machine. Luxury 16 seat minibus hire will come with a chauffeur who will be trained and experienced in delivering a group to a chosen destination as smoothly and comfortable as possible. Having a chauffeur allows passengers to relax and enjoy the trip without any worries.